Haj subsidy scrapped: The subsidy, which stood at Rs 685 crore in 2011 is down to Rs 200 crore in 2017. It seems as if the phasing out will happen even ahead of schedule. Phasing out the Haj subsidy was a long-standing plan of the government of India, prompted not by fiscal prudence or politics, but an order of the Supreme Court which, in 2012, stated in no uncertain terms that 10 years would be the upper limit for the continuation of the Rs 685 crore (in 2011) Haj subsidy. In the interim, the subsidy has been steadily going down — it was around Rs 200 crore last year and the phasing out was endorsed by the Afzal Amanullah Committee in its October 2017 report. When Minority Affairs Minister Mukhtar Abbas Naqvi told The Indian Express last week about the discontinuation of the Haj subsidy, he was merely reiterating the government’s obligation to go by the apex court’s order, flagging an ongoing process. 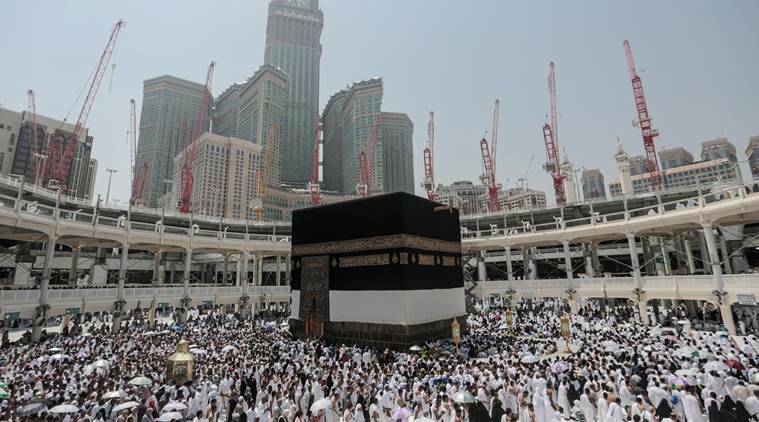 On May 8, 2012, a Bench of Justices Ranjana Desai and Aftab Alam, while passing an order on the eligibility of private tour operators (PTOs) to take pilgrims to the holy shrine of Mecca, quoted extensively from the Quran to justify the discontinuation of the subsidy. Their order read, “This Court has no claim to speak on behalf of all the Muslims of the country… it will be presumptuous for us to try to tell the Muslims what is for them a good or bad religious practice. Nevertheless, we have no doubt that a very large majority of Muslims applying to the Haj Committee for going to Haj would not be aware of the economics of their pilgrimage… if all the facts are made known a good many… would not be very comfortable in the knowledge that their Haj is funded to a substantial extent by the government… the holy Quran in verse 97 in Surah 3, Al-e-Imran ordains: ‘… In it are manifest signs (for example), the Maqam (place) of Ibrahim (Abraham); whosoever enters it, he attains security. And Hajj (pilgrimage to Makkah) to the House (Ka’bah) is a duty that mankind owes to Allah, those who can afford the expenses (for one’s conveyance, provision and residence); and whoever disbelieves [i.e. denies Hajj (pilgrimage to Makkah), then he is a disbeliever of Allah], then Allah stands not in need of any of the Alamin (mankind, jinn and all that exists).’ We, therefore, direct the Central Government to progressively reduce the amount of subsidy so as to completely eliminate it within a period of 10 years from today. The subsidy money may be more profitably used for upliftment of the community in education and other indices of social development.” May 8, 2022 was the deadline given by the Supreme Court for phasing out the Haj subsidy. The court found no justification for charging pilgrims an amount much lower than even the normal airfare for a return journey to Jeddah. The UPA government then in power argued in court that higher fares were charged by the airlines during the Haj period due to regulations imposed by the Saudi Arabian authorities. “The norm is that the airline should carry pilgrims to Jeddah and return with zero load… This forces airlines to increase the fares, which otherwise come to around Rs 25,000. Therefore, the government thought it fit to collect a reasonable fare from the pilgrim and the additional fare charged because of the Haj-specific logistics is paid by the government to the airline. The government also decided not to pass on… the additional amount charged by the airline, purely on logistics, to the pilgrims. During the Haj of 2011, each pilgrim was charged Rs 16,000 towards airfare and the additional amount of Rs 38,000 per Haji is what is termed “subsidy”… the subsidy is given only to those pilgrims who go through the Haj Committee of India,” the government told the court. That order is where the phasing out plan began, alongside efforts to reduce expenses. The reduction of costs was the primary motive for the exploration of a sea route to Jeddah, discontinued in 1995. Currently, every year, pilgrims go for Haj according to the quota fixed for particular countries by the Saudi Arabian authorities. For India, the quota currently stands at 1,75,000 people — it was recently increased. The NDA government has showcased this as indicative of not just India’s growing foreign prowess, but also its commitment to the Muslim community. That is also how the government presented the recent decision to allow women above 45 years of age to go for Haj in a group of four or more without a male guardian, even though the change of rules on this was actually rolled out by Saudi Arabia. India merely brought its own rules up to date three years later. 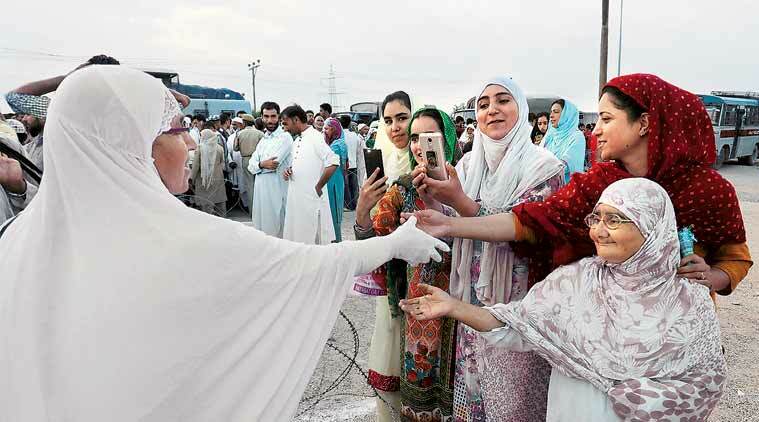 The number of Haj pilgrims has been rising over the years, as has the subsidy. In 1994, the number of Haj pilgrims from India was as low as 21,035 — by 2011, the number increased to 1,25,000. In 1994, the cost of travel per pilgrim was only Rs 1,700 — by 2011, that went up to Rs 54,800. As a result, the total Haj subsidy, Rs 10.51 crores in 1994, swelled to Rs 685 crores by 2011.